Mental that we’ve got 13k on the waiting list for season tickets. Think it’s time we get rid of the big screens and expand our capacity. SC1967 wrote: » Hastie, Stewart and Souttar all heavily linked with Rangers. 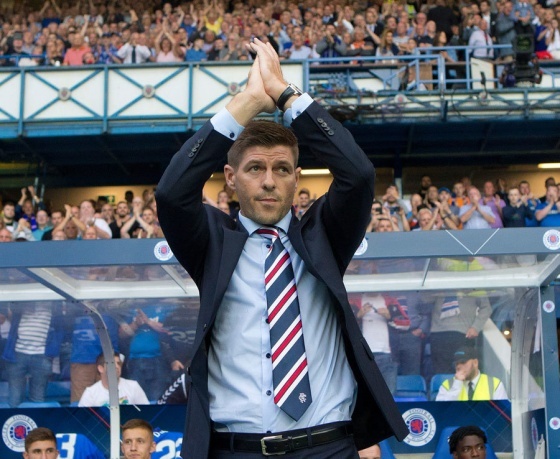 Thoughts, Rangers fans? Those signings won’t win us titles, simple. **** at it again throwing a lighter and other things at Tav when taking a throw in. Get it up them, 2-0 Arfield double! SC1967 wrote: » Two match ban for punching someone in the face is fairly lenient. What do you expect when a player can kick someone in the head and get away with it? fergoosee wrote: » halliday did get a ban for celebrating at the half way line Candeias got a red for blowing a kiss. Very comfortable win tonight - Hearts didn’t look up to much at all. Flanagan starts at LB; Hearts would be as well firing down that side. jamle1874 wrote: » Celtic and Rangers intrested in Uche funny it’s just before a game against rangers, predictable toilet paper of a rag the sun is Wouldn’t improve either team anyway. Morelos to be fined a weeks wages, if he doesn’t smarten up after that then there’s nothing else we can do. The club better fine him for that. Absolute disgrace and going to cost us big time.